Corvette Forum > Vendors > CARiD.com > Get $50 Rebate with Volant March Offer at CARiD! Get $50 Rebate with Volant March Offer at CARiD! Looking for an easy and effective way to improve the performance of your Corvette? Volant air intake systems are designed to improve the horsepower output and throttle response. Custom-made for your application most of their intake kits feature an air filter that's specifically designed to stop ultra-fine particles from getting into the engine. Unleash the full potential of your Corvette with Volant! 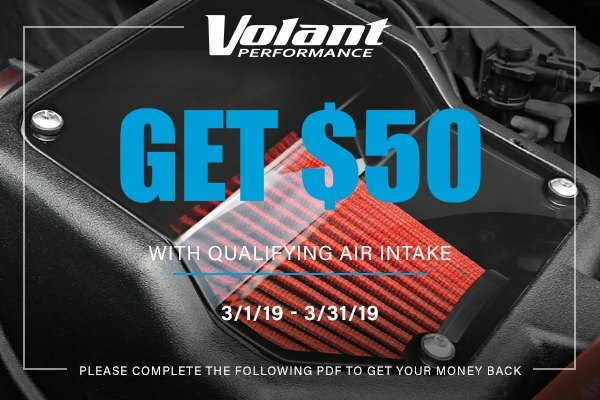 Purchase high-quality Volant air intake and get $50.00 rebate check. Hurry up, the offer expires on March 31st, 2019. Please follow the instruction in the PDF form to get your rebate.